Whiel we had thought Del Rio would be our last event for the season, but to our surprise we got an invitation to the World Championships right here in Houston, TX! For two long days, we played several qualification matches, enjoyning the experience and meeting so many new people. While we didn't get picked for an alliance for playoffs, we still loved the experience, leaving us wanting more. Getting to see and work with teams that we would never see in normal competitions was quite a joy and we would love to meet with many of them soon. This has left The RoboSpartans motivated for the next year. We can't wait to be back at the championship for even more robotics fun! 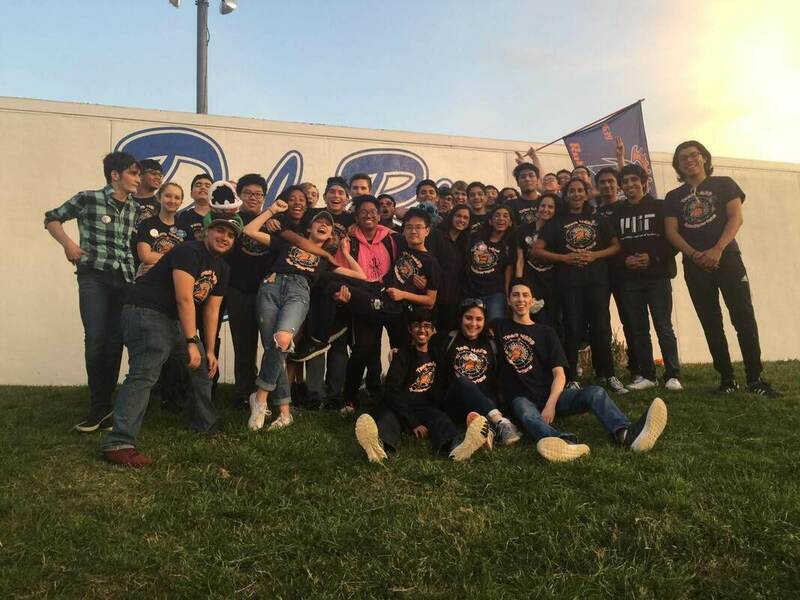 This past weekend our team went down to Del Rio to compete with our robot, Prosperity. Our first day started off slow, but we were quickly able to pick ourselves up, moving up the ranks fast. We had a few fixes we had to make throughout the day with programming and our hatch intake, but soon enough our drive team had Prosperity carrying hatches and throwing cargo like it was nothing. The day ended with high spirits, lots of group photos, and team bonding over dinner. Our team went into the second day starting off strong with Prosperity working like a dream. However, our team unfortunately didn't make it to quarter finals. But in the end, we were able to leave with the Team Spirit Award in our hands, our heads held high, and many great memories. After our build season ended, it was time for our robot, Prosperity to head to its first competition! Now, we did not have the best start, with many of our mechanisms not working properly, but we never let that slow us down. 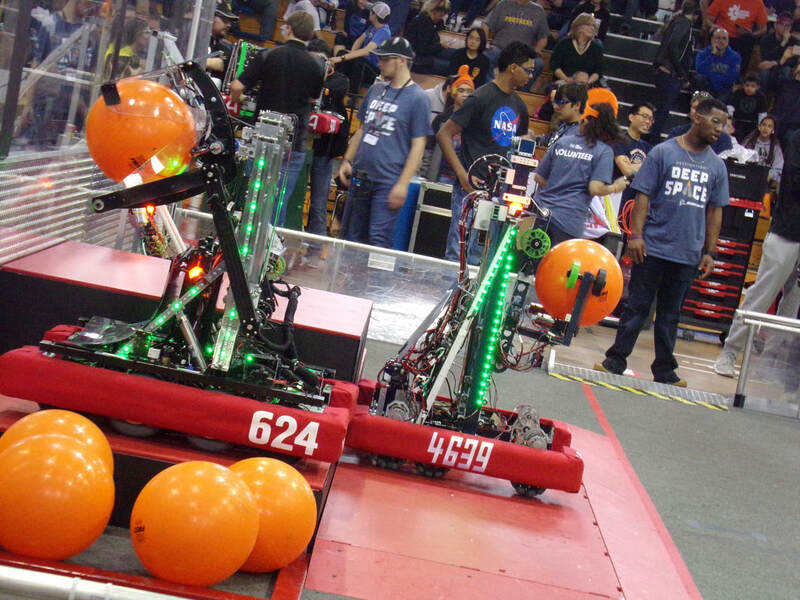 In between each match, our team worked to get each and every part of our robot working as they should. At the end of the qualification matches, Prosperity was running around doing exactly as it was meant to do, and we couldn't be happier. As our qualification matches came to a close, the RoboSpartans finished at rank 19, later becoming a part of the 6th alliance with teams 7492 and 4328. Unfortunately, our alliance was eliminated in the quarterfinals, but we had a lot of fun and gained a lot of experience! As the day came to a close, the RoboSpartans won the Team Spirit Award for the second time, as well as runner-ups for the Safety Award! The team had a blast at our first event and we can't wait to compete at the FIT Del Rio District Event! See you then! After six long weeks, Team 4639 has completed our robot for teh 2019 season, Destination: Deep Space. There has been so much time and effort put forth, and we couldn't be any more proud of our students for completeing the robot. Even though our robot is bagged and tagged, there is still a lot of work to be done! Starting very soon, our drive team will begin practicing with our practice robot, preparing for the Channelview and Del Rio District events in March. Our robot is considered a first for our team. Unlike any robot before, we have built an elevator with an attached intake system for the balls and hatches, and for our first elevator, we believe that it's turned out quite nice. With a vertical pivot for our intake, our robot has several moving parts and is quite agile when it moves on the field! We can not wait to compete and see all the other teams at our events! 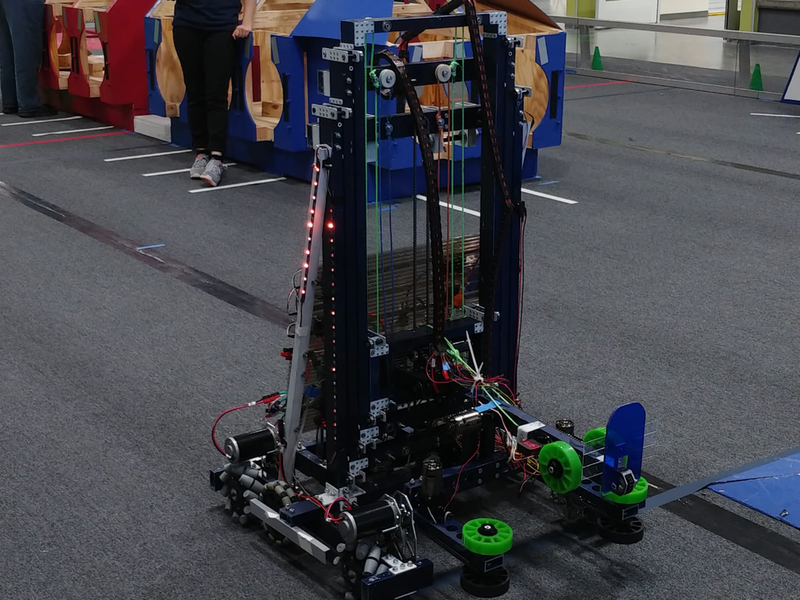 Here it is, our 2019 robot, please give a warm welcome to Prosperity! It wasn't that long ago that the FRC Kickoff was shown all around the world to many anxious students, and now the build season is nearing its end. Our team has been working much more lately in order to meet deadlines for our robot. As our pieces are nearing preparation, we are assembling our robots for programmers and soon practice. This year, we have went with some new ideas as well, which are keeping us very occupied. We are finally setting the final look and design for our robot, with the electrical system coming together fairly quickly. For much of it, it is definitely crunch time, with tasks being done much quicker than before so that we can make any last minute adjustments so that we may have time to fix any problems, big or small. We have multiple components of our robot created and ready to go such as our drive train and intake system, and we can't wait to see them in action on the final robot. It's starting to come down to the wire now, but we are getting ready for bag day! 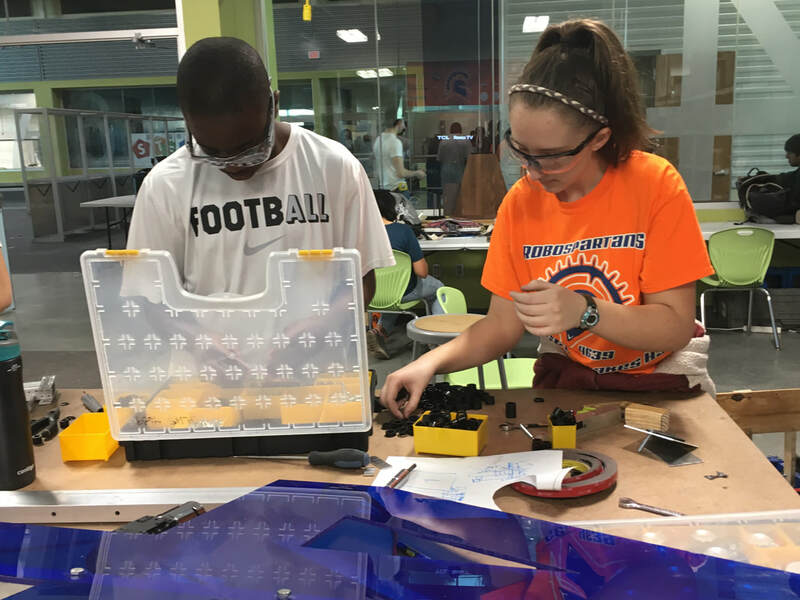 Ever since the beginning of the school year our vex team has been preparing for their new season. Now, they have been competing at multiple competition and have seen a great amount of success. Our team were finalists at the Cypress Ridge, Battle in the Boonies and Cinco Ranch New year Powwow competitions, where they were one of the most sought after teams in the entire line-up! 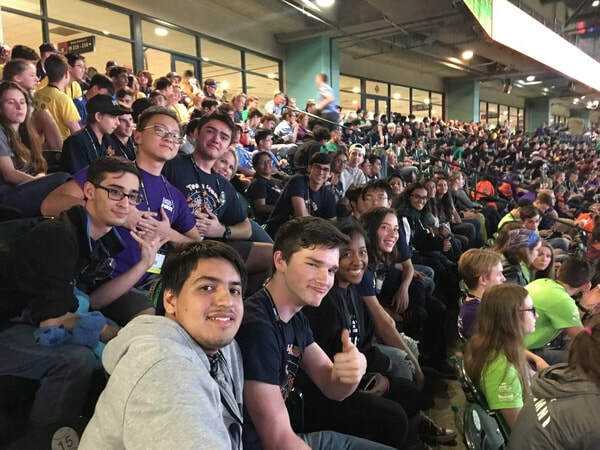 They also recieved "The Tournament Champion Award" at the Longhorn Engineering VEX Tournament, and more recently won the final championship and skills challenge at their competition in Cy Fair. Both of our VEX teams are also qualified for the statewide competition, where they will compete for even bigger awards! Good luck and congratulation to oue VEX RoboSpartans who continue to work hard each and every week! WE can't wait to see just how far you all will go! In other news, our build season for our FRC robot is starting to enter the second half. With all of our parts already or currently being produced, we are preparing to assemble our practice robot. Once that is done, we will move on to the creation of our final competition robot! It has been an exciting season so far, but there is still alot of time left before the season ends! Ever since the beginning of the build season, we have been planning our strategy and prototyping. Now that much of it is ending, we are looking to begin the robot as a whole rather than the individual mechanisms. The mechanisms that are chosen will be revised and created by our CAD team so that the proper material and size is as accurate as possible before it is created for the our final, competition robot. With our focus shifting to the construction of the robot, our team is steadily getting more excited for the future. We went to Shafer Elementary school as well, demoing our robot to young children and the parents. The students and parents had a blast and are showing interest in getting involved with FIRST themselves! There is still another demo during our build season at Griffin Elementary, so stay tuned!